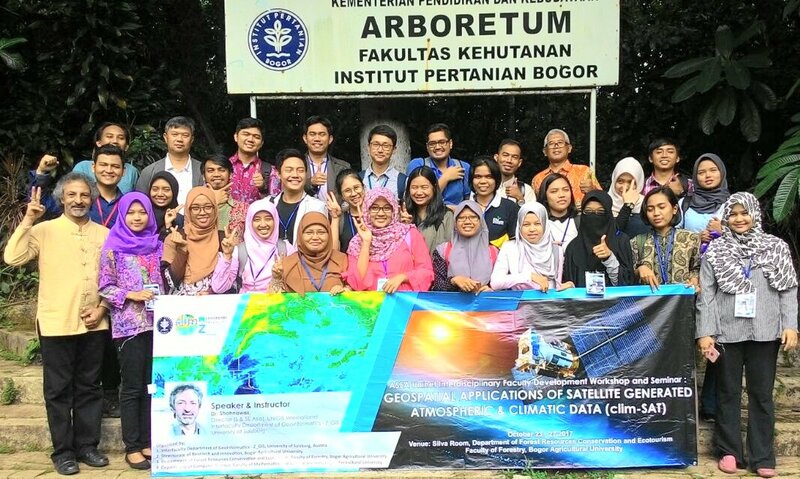 The Department of Geoinformatics - Z_GIS implemented a week-long Interdisciplinary Faculty Development Workshop on 'Geospatial Applications of Satellite Generated Atmospheric and Climatic Data (clim-SAT)' at Bogor Agricultural University (IPB), Bogor, Indonesia. The workshop was organised jointly by Z_GIS and IPB from 23rd to 27th October, 2017. The clim-SAT project was co-funded by ASEA Uninet Austria. The workshop was inaugurated by Dr. (Ms) Sri Nurdiati, Dean - Faculty of Mathematics and Natural Sciences, IPB. The session was followed by three open lectures delivered by Prof. Lilik Budi Prasetyo and Prof. I. Nengah Surati Jaya both from Faculty of Forestry, IPB; and Dr. Shahnawaz from Z_GIS which attracted about 100 attendees from within and outside the IPB. Dr. Shahnawaz (Z_GIS) and Dr. (Ms) Imas S. Sitanggang (IPB) conducted the workshop at the Faculty of Forestry (IPB). They taught the participants about the TERRA, AQUA, TRMM and GPM satellite platforms as well as trained them in using a range of data sets generated by various sensors aboard these platforms. Focusing on an interdisciplinary approach, 25 teachers and postgraduate students from 9 universities across 4 countries (i.e. Indonesia, Malaysia, Philippines and Thailand) participated in the workshop. The trainees worked on individual projects and explored geospatial applications of various atmospheric and climatic data sets in a range of disciplines. The hands-on practical work was based on the GIS software ArcGIS Desktop, and all participants presented interesting outcomes in the concluding seminar. The workshop concluded with a visit to the Indonesian National Institute of Aeronautics and Space (LAPAN) on the last day. Prof. Lilik Budi Prasetyo (Head, Dept. of Forestry, IPB) conferred the certificates of successful completion on the participants and congratulated them for having benefitted from this international and interdisciplinary workshop. Appreciating the high quality of the workshop, he announced that IPB has allocated 3 credits to the workload for recognising it as a part of various study programmes at IPB as well as other participating universities. He also conveyed his gratitude to Z_GIS as well as to ASEA Uninet and expressed willingness to strengthen and expand the institutional collaboration with Z_GIS. 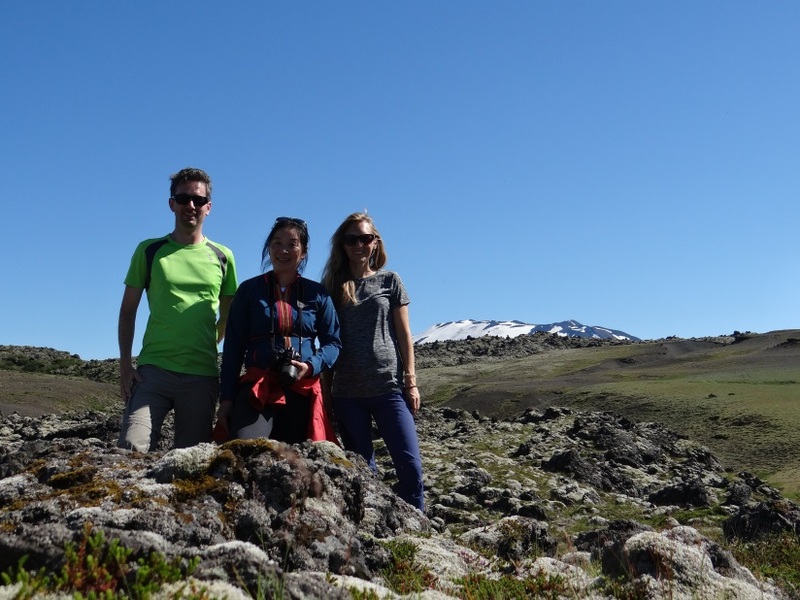 During a field trip to Iceland this summer, the MORPH team visited the study sites around Hekla and Öræfajökull. 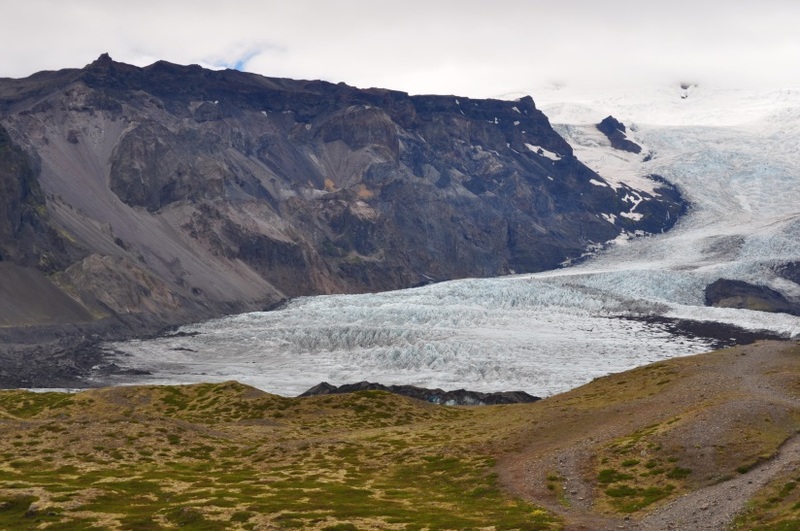 The MORPH project (Mapping, Monitoring and Modelling the Spatio-Temporal Dynamics of Land Surface Morphology) focuses on the investigation of landslides and volcanic deposits in these two study areas in Iceland. Both areas are highly dynamic in their geomorphic evolution and characterised by progressive mass displacements and surface deformation. 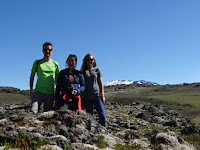 Daniel Hölbling, Barbara Friedl and Jirathana Dittrich collected field pictures, took GPS measurements and validated preliminary analysis results in the field. 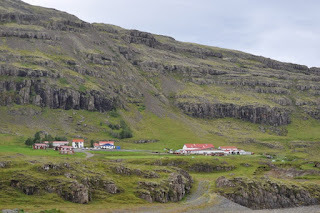 They presented first results for selected study areas and discussed them with the collaboration partners from the University of Iceland in Reykjavik and with local experts from the South East Iceland Nature Research Center (NATTSA) in Höfn. The study areas are of high complexity in their environmental, geological and geomorphological conditions. Visiting the sites made the researchers more familiar with the specific conditions. The field trip complemented and improved the remote sensing based analysis. The FFG-ICT of the Future exploratory project SemEO (Semantic enrichment of optical Earth observation data to enhance spatio-temporal querying capabilities) is nearing its completion at the end of October. The main outcome is a prototypical architecture of an innovative EO semantic querying subsystem together with a fully automated EO image understanding subsystem. 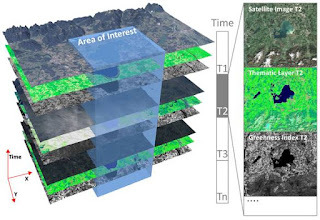 The system allows semantic content-based querying of images and spatio-temporal analyses directly in the database, which is not possible in current state-of-the-art EO image retrieval systems (like the Copernicus Open Access Hub). The proposed system contributes to the big data paradigm to ‘bring the user to the data and not the data to the user’, and to the ability of users to retrieve valuable information otherwise hidden in big EO data archives. A high-level political discourse under the overall topic “Smart me, smart home, smart world” took place at the Evangelische Akademie in Tutzing on 13-15 Oct, where Stefan Lang (Z_GIS) and Edith Rogenhofer (MSF Austria) presented the fruitful and long-lasting collaboration between Z_GIS and Doctors Without Borders (Médicins sans Frontières, MSF). In their dual talk, insights were given on how satellite technology is being used by MSF for logistics support, aid and food delivery, vaccination campaigns, and more. Emphasis was placed on the fact, that relying on recent technology such as Earth observation satellite data and image analysis to support strategic decisions in humanitarian action, implies mutual trust building among partner institutions. Issues were discussed on data sharing, data security, reliability of products, and the resulting decisions process. Simultaneously to the workshop attendance, Z_GIS supported by Spatial Services GmbH, delivered first hand information products for the current Rohingya crisis in Bangladesh over the weekend. The information was used to better plan aid measures by the epidemiologist team on the ground. Salzburgs Landeshauptmann Dr. Wilfried Haslauer war zu Gast bei Z_GIS im Techno-Z. Im iDEAS:lab bekam er einige Schwerpunkte unserer Forschungsaktivitäten zu sehen: Das Team des GI Mobility Lab präsentierte aktuelle Projekte für eine klima- und umweltfreundliche Mobilitäts- und Regionalplanung. Das vorgestellte Projekt GISMO zeigt, welchen gesundheitlichen Nutzen Pendler haben, wenn sie für ihren Weg in die Arbeit auf das Fahrrad umsteigen oder zu Fuß gehen, und welche Möglichkeiten geographisch differenzierte Maßnahmen für ein betriebliches Mobilitätsmanagement bieten. Darüber hinaus bekam er einen Einblick in die Beobachtung von Klimawandel-Indikatoren im alpinen Raum und konnte sehen, wie wir mithilfe satellitengestützter Fernerkundung humanitäre Hilfsorganisationen bei ihrer Arbeit in Krisengebieten unterstützen. Neben diesen und anderen Forschungsinitiativen steht Z_GIS auch bei informatisch-technisch orientierten Studien im Mittelpunkt: das internationale Masterstudium Geoinformatik hat die höchste Anzahl an Absolventen mit dahingehender Ausrichtung und ist damit ein wichtiger Faktor für die Technologie-orientierte Unternehmenslandschaft in und um Salzburg. Z_GIS ist Teil der Science:City Itzling. Der Standort, an dem neben Z_GIS u.a. auch das Center for Human Computer Interaction der Universität Salzburg sowie die Salzburg Research Forschungsgesellschaft angesiedelt sind, hat sich in den letzten Jahren zu einem Zentrum für IKT im Bundesland Salzburg entwickelt. Z_GIS ist seit 2004 an diesem Standort. This 1,5 days workshop, which took place at the end of September 2017 in Salzburg, was organized as a follow-up event of the winter school 2017 held in St. Wolfgang. 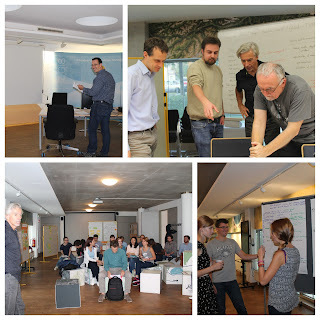 Around 20 participants, mainly from the Doctoral College “GIScience” and the PhD study programme “Applied Geoinformatics” worked on four different topics such as “Big earth data”, “VGI & Social media for urban context”, “Big trajectories” and “Uncertainty in big geospatial sensor data”. The idea of the workshop was that each group shall have a clear plan with milestones to develop the research topic / idea of the winter school further via a mini-conference, a final conference and a paper. The results were presented in a form of a poster and a 5 minutes elevator pitch where all group members were involved. Jury members, consisting of faculty members and young scientists, gave critical feedback and helped the groups to narrow down the topics and to improve the concept. Although the schedule was very tight during these 1,5 days it was a fantastic and inspiring atmosphere which again strengthened the team spirit. This year´s conference on "Satellite Applications for the Alps: Search and Rescue Edition" will take place from October 11-12 in Brixen, Italy. The confernce, entitled IMS "Meet.Mountain.People.Soul", focuses on nature meeting technology. It is dedicated to satellite applications for search and rescue, emergency response, civil protection and risk mapping in and around the Alps, asking: How can satellite communication and navigation enable more advanced emergency call systems? How can it enhance the coordination of teams? How can Earth Observation help to provide better geo-information and post natural disaster imaging? Z_GIS is again actively involved in the organisation and implementation of this event, together with EURISY, IDM Südtirol, Cluster Satellite Navigation BGL – Salzburg und GI-PLUS e.V., to name just a few. The two-day event is free. Find all information on the event online online and take the chance to participate via online registration. 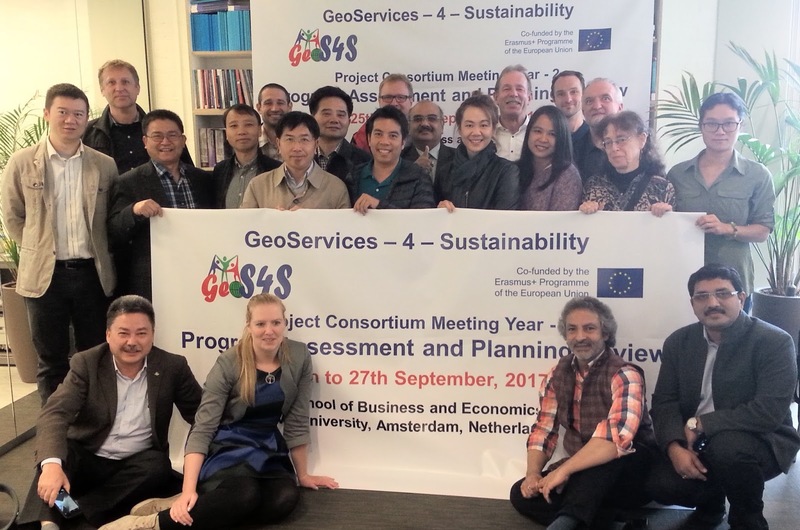 The consortium members of the ‘GeoServices-4-Sustainability' (GeoS4S) project from 10 partner universities located in Europe (4), China (3) and Thailand (3) met at the School of Business and Economics, VU Amsterdam, Amsterdam from 25th to 27th September, 2017 to review project progress at the completion of the second year of the project. The Interfaculty Department of Geoinformatics - Z_GIS, University of Salzburg, Austria serves as coordinator of this project, co-funded by the European Commission under the ERASMUS+ programme from October 2015 to October 2018. Three major objectives of the GeoS4S project aim at developing teaching/learning resources of 20 modules; to organise International Summer Schools for testing the relevance and operational feasibility of these modules, and to integrate teaching/learning resources on an eLearning platform for open and free access worldwide. The twenty three experts involved in the project gathered to review the progress of the project during years 1 & 2 and to fine tune the activities planned for the final year of the project. The progress made by various team members was considered highly satisfactory and the enthusiasm for further enhancement of the quality of the deliverables was widely present. Critical assessment of the milestones achieved during the first two years was taken as the guiding principle for streamlining the activities of the final year. It was agreed upon that the consortium members need to perform beyond expectations during the two International Summer Schools to be conducted in China and Germany as well as introducing and discussing high quality teaching/learning materials during the two dissemination conferences planned in China and Thailand. The consortium will conduct a monitoring review in March 2018 during the International Summer School in Nanjing, China. 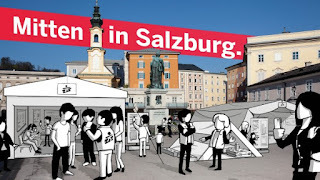 "Hilfe aus nächster Nähe" nennt sich eine Ausstellung der Hilfsorganisation Ärzte ohne Grenzen (MSF), die von 4.-15.Oktober am Salzburger Mozartplatz zu sehen ist. Ärzte ohne Grenzen zeigt den Besuchern, wie humanitäre Nothilfe funktioniert: Was wird für die Errichtung von Wasserversorgung & Sanitäranlagen benötigt und wo macht es am meisten Sinn, diese zu bauen? Wie werden Krankheiten wie Cholera behandelt, wie viele Personen müssen geimpft werden und wie gelangen die Medikamente in Krisengebiete? Wie Satellitenbilder und räumliche Analysen helfen, diese Einsätze effizienter zu planen, zeigt der Fachbereich Geoinformatik - Z_GIS. Seit mehreren Jahren analysiert der Fachbereich Geoinformatik - Z_GIS Satellitenbilder für die Hilfsorganisation Ärzte ohne Grenzen (MSF) und unterstützt dabei die Helfer vor Ort beim Aufbau und der Organisation von Camps und der Planung von Logistik und Impfkampagnen. Mit einer Ausstellung am Salzburger Mozartplatz gibt Ärzte ohne Grenzen Besuchern von 4. - 15. Oktober einen Einblick in seine Arbeit. Z_GIS zeigt am Beispiel des Flüchtlingslagers Nduta in Tansania Auswertungen, die die Arbeit vor Ort unterstützen. Zusätzlich können Besucher einen 360°-Einblick in das Leben in einem Flüchtlingslager bekommen. Interessierte können dem Z_GIS-Team, das sich auf humanitäre Themen spezialisiert hat, am Freitag, den 6. Oktober, von 14 bis 16 Uhr Fragen stellen, wenn sie die Ausstellung besuchen. Sie erfahren, mit welcher Detailgenauigkeit einzelne Strukturen und Gebäudearten auf Satellitenbildern identifiziert werden können, und welche Analysemethoden das Arbeiten in Krisengebieten unterstützen können. Mitten in Salzburg. Hilfe aus nächster Nähe. Eine Ausstellung von Ärzte ohne Grenzen.